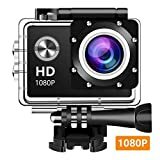 i Click 'view all' to instantly compare this good deal with offers on other top action cameras. GoPro HERO5 Session is currently selling at $249.95, approximately $22.61 lower than average, giving a potential saving of $50.04 right now. With a lowest price of $229.99 and an average of $272.56 it is selling on the low end of its usual range. Price volatility is 3.42% (meaning it changes a few times a week), so the price should stay low for a while. Right now this product is a recommended 'good deal'. 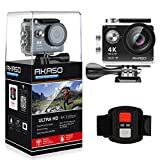 Compare the current price, savings (in dollars & percent) and Buy Ratings for the top Action Cameras that are closely related to GoPro HERO5 Session. Here is how GoPro HERO5 Session compares with other leading Action Cameras. The stunning 4K video and one-button design of HERO5 Session may be the ultimate combination of performance and simplicity. Loaded with pro-quality capture features, it’s also a connected GoPro that makes it easy to access, edit and share on any device. Capture your life as you’ve never seen it with HERO5 Session. 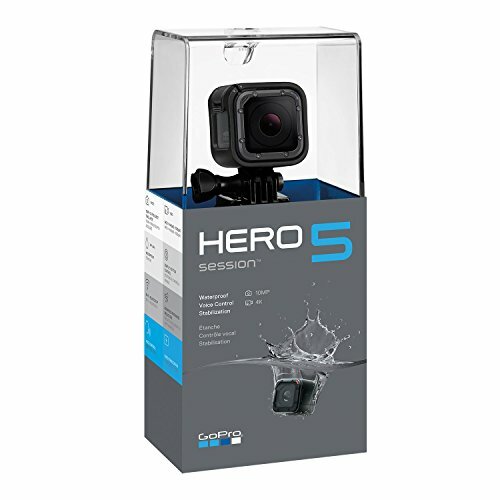 Whats Included: HERO5 Session Camera Standard Frame Curved Adhesive Mount Flat Adhesive Mount Mounting Buckle USB-C Cable FeaturesStunning 4K video and 10MP photos in Single, Burst and Time Lapse modes.Durable by design, HERO5 Session is waterproof to 33ft (10m) without a housing.Additional GoPro HERO5 Session Features + Benefits below on item page.A single press of the Shutter button powers the camera on and starts recording automatically.